This week’s Top Ten Tuesday is Top Ten Favorite Book Covers of Books I’ve Read! On the hardcover version of this book, the little dandelion puffs have glitter on them! My favorite Meg Cabot book! I’ve always wanted a Harlequin Great Dane and I love the rainbow font! I love Alice in Wonderland. I love tea and teapots. Where can I buy a copy of this?! A beautiful cover for a beautiful book. I already own a copy of To Kill a Mockingbird, but I’d love to own this 50th Anniversary Edition! This book was my favorite book that I read (for the first time) this year (my review) and I think the cover is so simple and classy! I love cats, and I also love how the pink and black make the cover pop! Okay, so I still need to read this one. But I just had to include it because it’s my favorite YA book cover! I love the gorgeous gown and the crown above the book title! What are your favorite book covers of books you’ve read? First off, I’m in love with that copy of Alice in Wonderland! I can’t say I’ve read the book yet (sadly), but that’s one cover you can’t help but like. I only wish I knew where to buy it. I have an older copy of To Kill a Mockingbird, though the one you pictured is by far my favorite edition. It’s one of those gorgeous covers that are difficult to deny — I’d love to own a copy of it myself! I’d love a copy of that Alice in Wonderland too, it’s just so pretty and whimsical! I have the purple cover of To Kill a Mockingbird, with the picture of the hole in the tree with the gifts inside, but I’d love to own the 50th anniversary edition too! :) Thanks for stopping by & commenting! OHHH I remember seeing that Fahrenheit 451 cover and dying over it. AMAZING. I need that Alice in Wonderland and To Kill a Mockingbird in my life immediately. I also put For Darkness Shows the Stars and The Selection on my list! Those are the top 3 on my list that I’d love to have on my shelf! I need to know where to buy them! :) Thanks for stopping by & commenting! Yay I like your picks!! The Selection is really pretty… and I like the Bad Kitty cover too! There are so many pretty covers of books I haven’t read yet! I kept wanting to put them on my list and had to remind myself that it’s a list of books we HAVE read. Me too, I kept on thinking of covers I thought were cute and then realizing that I hadn’t read the books yet (such as Past Perfect–I love the cover and need to read the book soon). I found this list very hard to put together. There are far too many lovely covers. I adore the cover of The Selection but it unfortunately didn’t make my list. It was very close though! Great list! I had a hard time with this list too, I changed it several times! Love that alice cover and I’ve so love the selection and elite covers, so pretty! When I first saw that cover (and I’ve only seen pictures sadly) of Fahrenheit 451 I got some cover lust. It’s so creative! Those covers of Alice in Wonderland and To Kill a Mockingbird are great – I like them so much more than the ones I own! I really like the Fahrenheit 451 cover! It’s beautiful in its simplicity :). And the cover for To Kill a Mockingbird is awesome too :). Funnily enough my dad and I were just talking about in on Saturday. I put To Kill A Mockingbird on my list also, but I never saw that cover-it is awesome! I have been going to some of the other blogs that participate in the TTT, and I am amazed how many of my fav books have different covers that i have never seen! I really like that TKAM cover too. And that Alice in Wonderland is one of the best I’ve seen – so cute! Nice choices! Great covers!! I like all of them. I’ve never seen that version of Fahrenheit 451, but it’s definitely cool. I’ve never seen that cover for Fahrenheit 451 but it is really neat. Great picks! I love the cover of For Darkness Shows the Stars. :) Happy Reading! The matchbox cover is amazing, and I am just reading The Selection, it’s so pretty. Great list! That Fahrenheit 451 cover is amazing…I think I’m going to have to try and hunt that one down for my own collection! I adore the 50th Anniversary cover for To Kill A Mockingbird. That is one of my all time favorite books too! I have that same cover for To Kill A Mockingbird on my list! Also, the Alice in Wonderland cover you have is absolutely gorgeous. I think I might actually go purchase it because a beautiful book like that should be on a shelf! That cover for Alice in Wonderland is stunning!! !Wish I had that one! That Fahrenheit 451 cover is AMAZING. O_O And I keep kicking myself that I forgot about For Darkness Shows the Stars – I loved that book, and love the cover even more, lol. OMG the Fahrenheit 451 cover is absolute gorgeous. I can’t believe it includes a match! That is crazy and awesome at the same time. I love when design is smart. I also love the A Long Long Sleep cover. Great picks! Hehe, I love the Dragon Slippers cover too! I found a copy in a used bookstore and am so excited to have it on the TBR shelf! That To Kill a Mockingbird cover is gorgeous. I haven’t seen it before! Your list is really great. The Fahrenheit 451, Alice in Wonderland, and To Kill a Mockingbird covers are KILLING ME with gorgeousness. I really want to read A Long Sleep. It looks like an amazing book. For Darkness Shows the Stars has such a unique, beautiful cover! And ahhh, the cover of The Selection! I love everything about it. Hey! great blog – love it and thanks for stopping by mine earlier- I am a new follower of your now too! I liked the cover of The Boy Next Door and For Darkness Shows The Star – but i haven’t read either of these – did you really love them? Do you have reviews for these on your site? 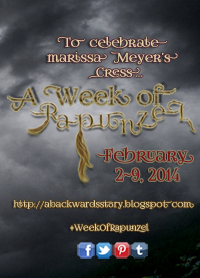 I also loved your YA Book Blog Directory – did you get that link from somewhere? Have a great evening! Thanks so much, I’m following you too (via WordPress)! 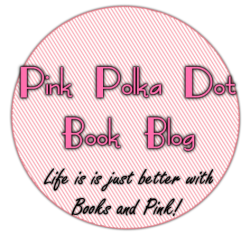 :) I loved The Boy Next Door, the book is told through emails and Meg Cabot is one of my favorite authors but I don’t have a review of it as I read it before I started blogging; I haven’t read For Darkness Shows the Stars yet. 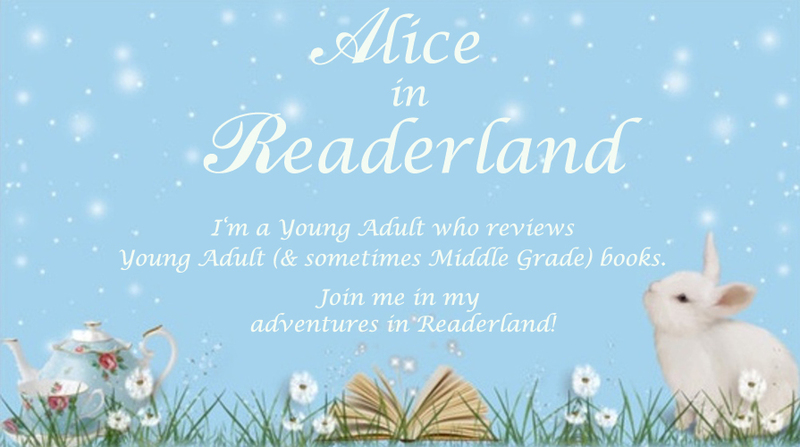 I went to the YA Book Blog Directory site and submitted my info. :) Thanks for stopping by & commenting! I am super excited to check it out! I wish that F541 cover was real! Maybe one day esp because it gained so much attention. It’s so clever. I also really like that Alice in Wonderland cover. So cute! I love the cover for ‘For Darkness Shows the Stars’ but I haven’t read it yet either haha. I still really love that Fahrenheit 451 design. It’s wonderful. I love those versions of Alice in Wonderland and To Kill a Mockingbird as well. I adore when the classics get pretty redesigns. I’d never seen that cover for A Long, Long Sleep before. So simple and pretty. I like it. I love that cover for A Long, Long Sleep, it makes me wish I owned the hardback instead of the ebook! ;) The paperback cover is pretty too, with swirls & different shades of blues, but I really love the hardback & think it fits the story better. I hadn’t even heard of A Long, Long Sleep before your list. I might have to check it out, though. Just because of a pretty cover. Haha. That is probably the coolest cover I ever seen! And I love the cover for the selection! Alice in Wonderland’ cover is really cute, and I also love THe Selection cover. I did not even like Fahrenheit 451 all that much, but I want to own that cover! It’s amazing! And I LOVE the Alice one. :) Great choices! And thanks for visiting my TTT! I LOVE the Alice in Wonderland cover!!!! I am going to find it somewhere! New mission! The cover for The Selection is beautiful! Enchanting! Here is the link to Anthropologie where you can purchase this Alice in Wonderland book and cover. It is part of the “Mr. Boddington’s” collection. There are several other beautiful classics as well! Did anyone find out where to get the Alice teapot book..It’s my favorite book of all time and I would like this copy!